The equipment consists of Trawl roller, track width mine plough and an electro- magnetic device. 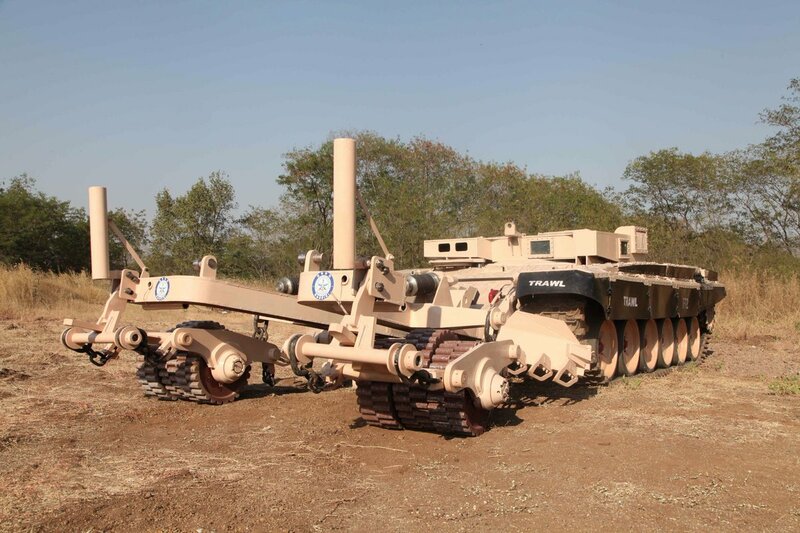 R&DE (Engrs), a premier system engineering laboratory under Armament & Combat Engineering (ACE) cluster of Defence Research and Development Organisation (DRDO) has recently undertaken the design and development of Trawl System for the minefield area in the battle zone to meet the operational requirements of Indian Army. The indigenous developed Trawl System is employed for breaching of land mines and creating a vehicle safe lane, through a minefield for the advancing columns of mechanized forces in combat zone. 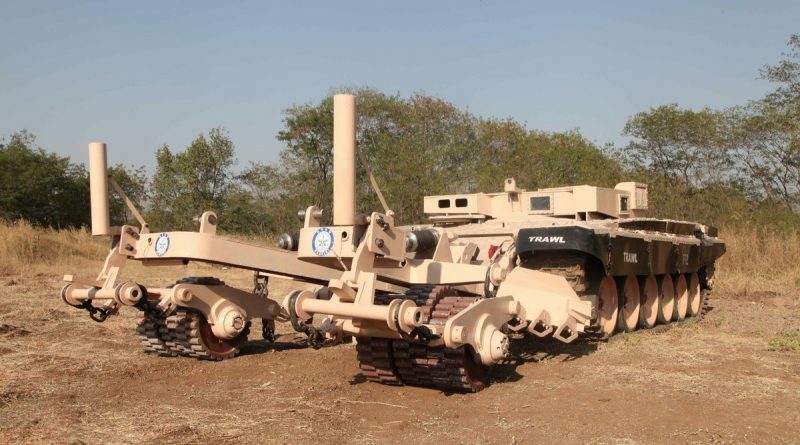 The equipment consists of Trawl roller, track width mine plough and electro- magnetic device (EMD), which caters to the need of all types of mines usually encountered by the battle tank in such a scenario. The Trawl System developed by DRDO is capable of breaching a variety of land mines including passive and active influence mines. The Trawl system recently crossed a major milestone with the successful completion of blast trials in collaboration with HEMRL Pune, which demonstrated the survivability of the equipment, when subjected to successive series of blast directly underneath it. The fieldable prototype of the Trawl System is in final stage of realization and would be shortly ready for conduct of User Evaluation Trials by the Army. The indigenous development of Trawls by DRDO is an important step towards achieving self-reliance in area of critical military equipment under ‘Make in India’ initiative and would result in saving of precious foreign exchange for the country.